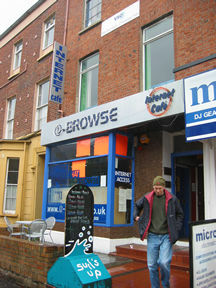 Golden Mile Stories uses IBrowse Internet Café and Bookfinders Café as sites to investigate the Golden Mile Area of Belfast. 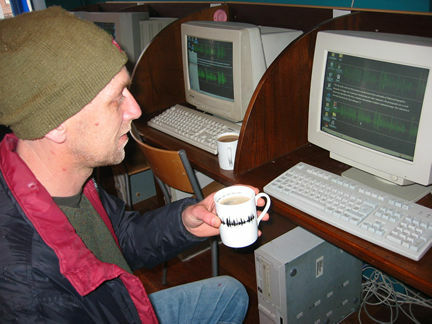 The piece utilises stories gathered about the area to make customised mugs and screen backgrounds (for the Internet café). 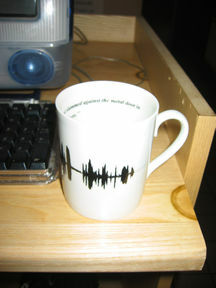 Customised 'story cups' are also located in both cafés. 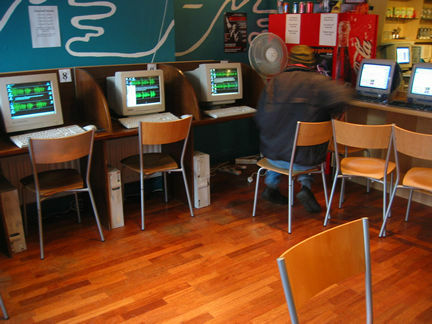 Internet cafes and book shops are locations where stories and facts are read, told, swapped and sent. When sending email from one global location to another it is common to find accounts of places. 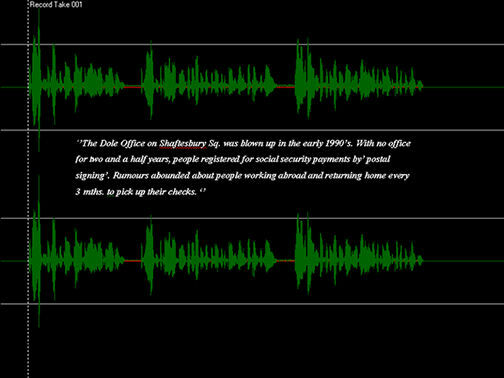 The stories used for this project are born of people's observations, sometimes factual, sometimes humorous. The Golden Mile as a location contains elements of the local and the global, its stories reveal this and its cafes provide interesting contexts to tell these. Story telling and swapping is common to most cultures it acts as a metaphor for discussion and debate. This project is an attempt to use the vernacular everyday to communicate broader political issues.